To the ill-informed visitor, this comparatively miniscule country known as ‘the Netherlands’ may pose quite the mystery. You could even be forgiven for believing that, when stepping off the plane, you’ll be greeted by milkmaids gallivanting, tulips blossoming, windmills a-winding, cheese a-churning, clogs a-clopping and tall blonde bombshells flipping their radiant locks like stallions of the human species. 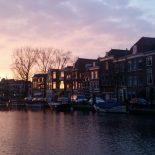 If you’re looking for the embodiment of traditional Holland then look no further – Zaanse Schans compiles every preconceived notion of the Netherlands that you may well have harbored in one fully functional village. My first impressions of the place were peculiar, to say the least. The traditional green houses were so obviously painted to perfection and so stringently aligned as to herd the primitive tourist along the optimal path to retail bliss. I couldn’t help but suspect that I was about to be sucked into a never-ending labyrinth of pristine dolls houses – trapped like a rabbit in the headlights or my father in Ikea. Nevertheless, as it was a friend’s birthday, I persevered (somewhat grudgingly) and was pleasantly surprised to find my opinion soon swayed. Our first stop was a traditional pewter merchant who gave us an intimate demonstration of how to make spoons (which we later purchased), then on to an antiquated Albert Heijn (couldn’t avoid the purchases there) and a windmill, which sold the most delectable selection of finely ground herbs (purchased). Next up, my personal favourite: the cheese barn. Blanketing the walls is a kaleidoscopic array of cheeses, prepared fresh before your eyes and freely available to sample – a novelty which, I can assure you, we took full advantage of prior to selecting a few particularly delicious purchases. 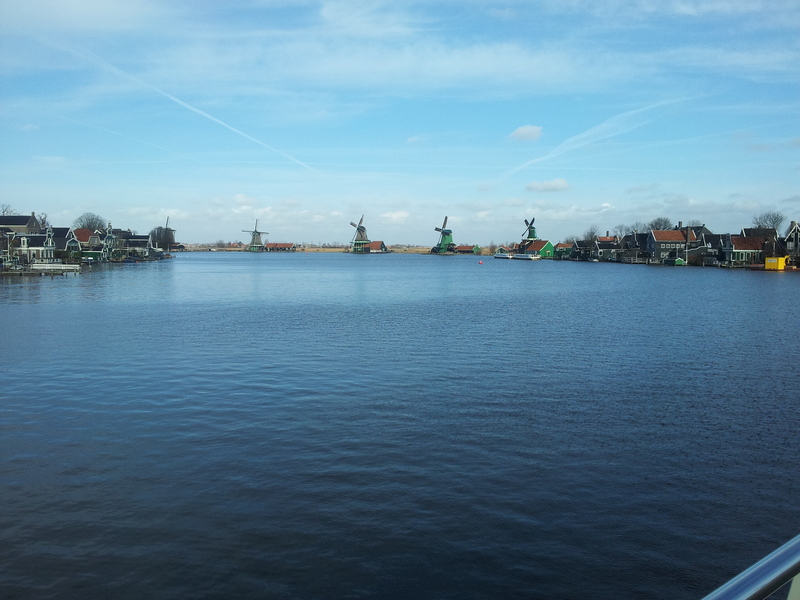 Needless to say, we found it pretty difficult to resist indulging in the Dutch stereotypes of Zaanse Schans. We rounded off the day with perhaps the ultimate stereotype – the clog museum; home to a host of vibrant and ornately decorated clogs in a multitude of sizes. 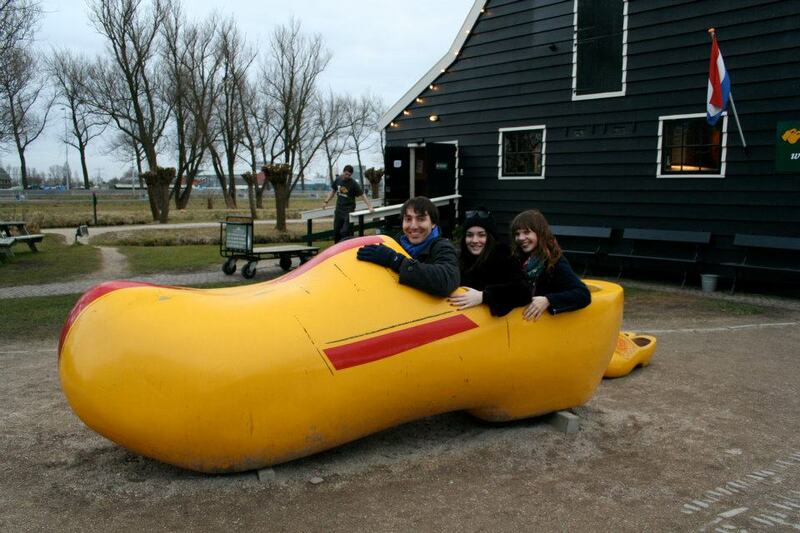 And here we are, sat in a giant clog. It was all incredibly kitsch and really rather novel, but as the sun began to shine from behind the clouds – by some freak act of god – I couldn’t help but feel that Zaanse Schans was really rather quaint after all. After living in Kaarsenmakerstraat for 6 months in Leiden I was on the internet looking for some Leiden information. I stumbled upon your blog, and saw in this picture someone I knew. Nico. What a small world! Great blog by the way, I wish I had kept one myself! Very well wriiten article. I enjoyed reading it as a Dutchman. This entry was posted on April 23, 2012 by admin@theleidener in Emma, Living in Holland.